Rocky Sands was a hop, skip and a jump away from utilizing his finance degree from Arizona State University and starting a job on Wall Street. Marc Avery’s degree in political science wasn’t doing much for him in Memphis. They both packed their belongings and headed out west. Sean Carney was a Los Angeles native, and like the other two, became a writer and producer for other artists. 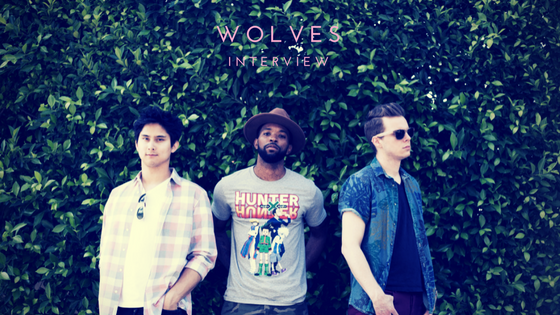 When the gratification of putting a song out into the world never came, and the fates of the world brought them together, they became WOLVES. WOLVES is entirely unconventional when it comes to their story. Their first single, “Animal”, was the first song they worked on as a group. It originated with Sands, who went to Carney with a base of an idea and come chords. As Sands napped on his couch, Carney added layers to the original idea. When they brought Avery into the mix, the chemistry easily made its way to the forefront. The chemistry was so undeniable that “Animal” was picked up by SiriusXM Hits1. The balance between the three comes from their blend of left-field ideas and high priority of melody. “The melody will bring the person into the room but the lyrics will keep them there. We like to think that that’s the way we try to get the best out of these songs,” Carney said. 1. While it’s the sexiest song they’ve come up with, no amount of adjectives could best describe it – it’s one that speaks for itself. 2. The creators behind the Fifty Shades of Grey soundtrack will be incredibly disappointed when they hear it and realize how perfect it could have been for their films. They got to delve into a more urban sound, which is something they hadn’t touched upon before. They also enlisted a female vocalist, who begins on the second verse and harmonizes with Avery for the choruses. “It’s a pretty hot and steamy song, but it’s also done with taste,” Avery said. WOLVES may be at the very beginning of their musical road trip together, but it was their original road trips to Los Angeles that let fate do its thing. As they conquer the world one song at a time, it will be their songs that they create for themselves.